I have immense joy to make the first posting here and to invite you to talk. I'd be happy to discuss with you the SEO techniques I'm offering. How does it work for you? Is anything unclear? On what points should I expand? Or what are your general thoughts on the tips I'm giving? Tell me whatever you think. Just stop by to say hi, or start a long debate - I'll be equally glad to see any kind of comments. Whatever questions or ideas concerning the SEO in Practice guide and its content you have, let's talk and try to find answers. Still the regulations will be quite strict, as I hate spam. Quite sure if there're unrelated or offensive comments that have nothing to do with the guide's topic, I'll remove them. Ruthlessly. Period. So let's talk SEO. Who's the first to chip in? Nice greetings from Germany !!! When I started the SEO, I had just a travel page. Back then it was just a few bookmarks, forum entries and catalogs and a site was ranked good already. Now it is more complicated. Anyway, the site helped me to get a job in a seo company. Now i want to get an expert in SEO, and searching for People to practice as well. I can only say, i thank god for guys like u, that they have more in mind than money. Thank U thanks a lot !!! Hi Dan! For me it was like a blessing. I am totally a newbie and I am not in a position to afford a penny, yet to make a income I made a site with wordpress and hosted the same with Bigrock. Did all the google Adsense. Tried hard to put in Contents that I thought relevant and appropriate. Now to get results I downloaded lots of plugins into it but without results. Finally I gave up all hope. All of a sudden I found you. 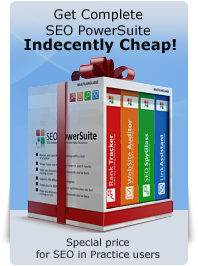 I am still reading the Seo in practice (free version) and getting more and more excited. Now I am slowly gaining confidence that it will start working. Thanks a lot, but mere words won't make you happy. Therefore in near future I am trying to prove it in words. Your guidance throughout will be highly appreciated. Once again thanking you in anticipation. Fruits juices are good for the health as well as for the fitness of the body. Some of the benefits are good for heart, strong bones, Growth and development of the body, sharp mind and many more. cheap nfl jerseys Canteen meals still taste the same, I silently eating. The next class Linda saw me, came to sit opposite me. British woman what is good, is cheap look bad. Even have a class call Julie Ji Christi woman taste. marshawn lynch authentic jersey She is very naughty suddenly asked: "There is no thing can not come?" marshawn lynch jersey I'm sorry, I was thinking mind. I said. www.cheapestjerseyswholesale.com Four percent of the meals for you going? If you find me, then I say do not push the air, you better go alone. She said. Hey, I am about to start your SEO in Practice. A little bit of trepidation here as I am not really that competent on a computer, still time will tell. Also, i'd like to add other question as "Dan Richmond" ask, is the SEO tips afect only Google? and why my web site is in the top 10 google search, and note in Bing and Yahoo? Quastion that i loke a lot to find it in your next edition. Pagerank is not so serious factor, because it is so easy to manipulate, if you have many sites,you can start the stopwatch for how fast you have the wished Pagerank with few links. I started one project with 10 sites. Promotiong the first of them to PR#2 all the others followed in weeks to same PR#2. And the Searchengines know that. Dan, am I right? Yes you are right. However it is easy to make a page PR2 and pass it on to other pages, while it's almost impossible to do the same trick with PR7, for instance. A high PR is a good factor to have. However PageRank alone cannot guarantee you a higher ranking than a competitor. Read on to the guide and you will see what else influences a website's positions. Yes Dan I have read complete book with in a Day.I am damn clear about page rank and its relation with other things.